Let’s start with a checklist of details that can be included in your wedding program. Since every ceremony is different, you may not check off every item on this checklist. Your wedding program wording is going to depend entirely on your style of service and the elements you decide to include. If you’re getting married in a church, the church will likely guide you through the program wording or simply ask for all the details and write the program for you. 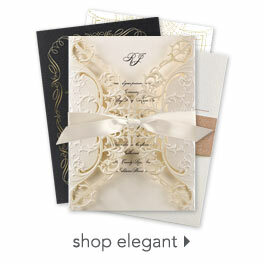 Now let’s go through a few examples of how to word your wedding programs. We’ve divided our examples into three categories. The examples in each category are all a little different so be sure to look at each one closely. Pick the category you like best and use the examples as a guide for writing your own program wording.